Now in its fifth consecutive year, LEGENDS is a 3-day celebration of design in May that brings together VIPs and tastemakers from the worlds of interior design, decor, art, fashion and architecture for receptions, keynote panel discussions, cocktail parties, exhibitions, book signings, personal appearances and special events. LEGENDS has attracted over 10,000 attendees since its inception and garnered over 91 million media impressions. 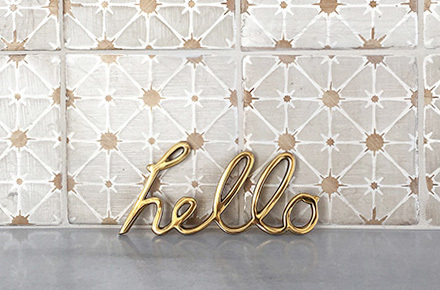 It is the largest design event of its kind in Southern California, and is a prominent fixture on the national design event calendar. A fusion of design, art, fashion and culture, LEGENDS provides a unique combination of education and entertainment for those who appreciate design. 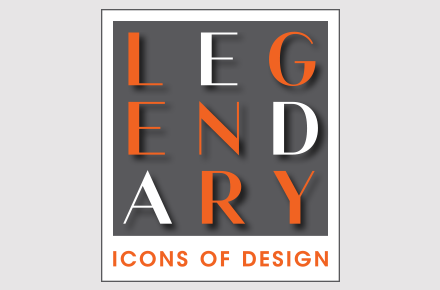 Each year, LEGENDS embraces an overarching theme to pay homage to the people or things that help to create and inspire excellence in design. 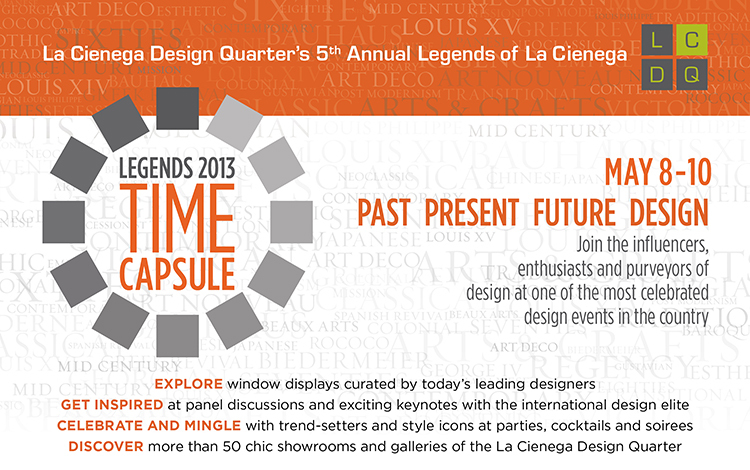 From May 8 to 10, 2013, LEGENDS will explore Time Capsule: The Past Present and Future of Design. The most highly regarded interior designers from across the country have been invited to decorate the legendary windows in the La Cienega Design Quarter. LEGENDS’ national media sponsors are Elle Decor, House Beautiful, Luxe Interiors + Design, Traditional Home and Veranda alongside corporate sponsors 1stdibs, One Kings Lane, Dering Hall, Merida and Coldwell Banker Previews International. Tom Allardyce – Janet Yonaty, Inc.
Jane Hallworth – Fuller & Roberts Co.
Alex Papachristidis – Claremont Furnishing Fabrics Co. Ask for LEGENDS 2013 rate.